The man in the picture is Chetan. He lost 20 kilograms. 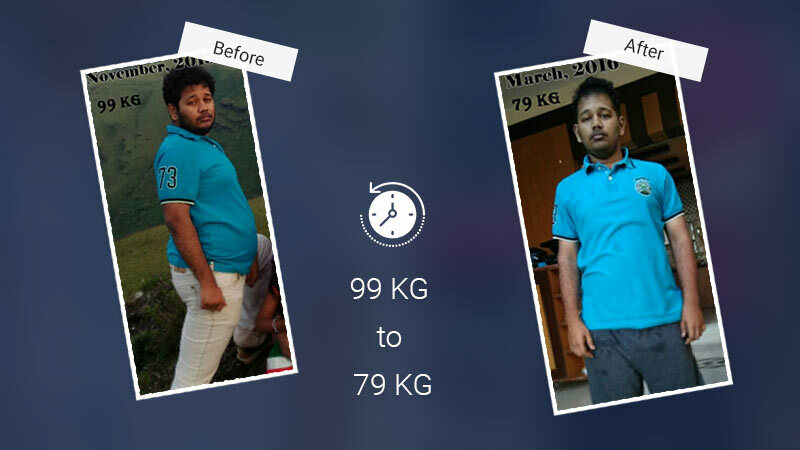 He was 99 kilograms and came down to 79 kilograms in a span of 8 months. Rightly so. But appearance and results matter. You will believe what you see.